sustained gains in living standards of Sri Lankans. Mr Gunawardena was appointed to the Board on 1 January 2012. He is a Fellow of the Chartered Institute of Management Accountants, UK and a Chartered Global Management Accountant. He counts over 45 years experience in diverse fields including shipping, airline, automobile, mining and export & import trading; of which 20 years was general management experience. 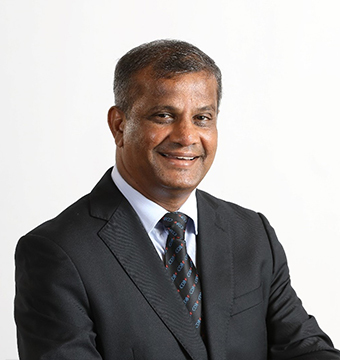 Mr Gunawardena is an Independent Non-Executive Director of Ceylinco Insurance PLC and a Non-Executive Director of Ceylinco Life Insurance Limited, Pelwatte Dairy Industries Limited and the Non-Executive Chairman of TechIncglobal Advisory (Pvt) Limited. He is also a Director of Hunter and Company PLC, Lanka Canneries (Pvt) Limited and Heath and Company (Ceylon) Limited. 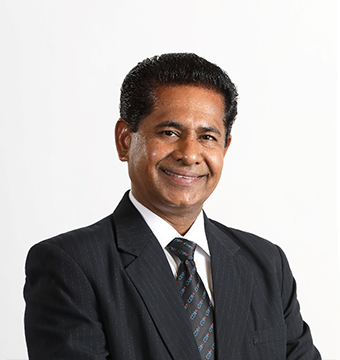 Having joined CDB in early 2001, Mahesh Nanayakkara was appointed to the CDB Board in 2004 and todate, counts over 28 years’ experience in banking and financial services. He holds a B.Sc. in Business Administration from the University of Sri Jayewardenepura and an MBA in Business Administration from the Postgraduate Institute of Management of the University of Sri Jayewardenepura. He is also a Fellow of the Chartered Institute of Management Accountants, UK and has attended Executive Development Programmes at Harvard Business School (HBS) Boston, USA. Mr. Nanayakkara also functions as the Chairman of Unisons Capital Leasing Limited, a specialised leasing subsidiary of CDB. He successfully spearheaded a dynamic team of young professionals who were instrumental in transforming CDB from a negative net worth Company to the dynamic entity it is today.He was instrumental in setting up an Employee Share Ownership Plan (ESOP) for CDB when the Net Assets of the Company stood at almost zero, prompting benefits to over 200 team members across the organization. Firmly believing in inclusive economic development, his vision is to moot a development model for Sri Lanka based on a Social Market Economy and an asset owning growing middle class. Possessing an anti-corporate raider mindset, he firmly advocates life long career commitments in his management teams, pushing their passions and optimising capability to build corporates that have a participation of equity, which he believes is a sustainable wealth creation process and a strategy to found an eco-system that transforms brain drain to brain gain. These ideologies are well exampled by eleven senior team members of CDB being among the top 20 shareholders of the Company, which may also be the only such instance of a corporate listed on the Colombo Stock Exchange having its employees among top shareholders. Mr. Nanayakkara was instrumental in establishing the Autism Trust Fund, a collaboration between CDB and Sri Lanka Association for Child Development (SLACD) which focuses on the early detection and intervention of autism in Sri Lanka, similar to initiatives prevalent in the developed world. Mr. Tennakoon was appointed to the Board on 1st April 2011. He counts over 26 years experience in banking, financial services and the insurance industry. Mr. Tennakoon is a Fellow of the Chartered Institute of Management Accountants, UK and also a Chartered Global Management Accountant. international conferences in more than ten cities. In addition, he has published articles in local and foreign journals and authored six books. He has won many accolades including gold medals for best papers in two international management conferences. In 2010, he won the Platinum Award by the Alumni of the Postgraduate Institute of Management (PIMA) for outstanding academic contribution and was conferred the prestigious IPM Lifetime Gold Award 2014 – the highest honour for an HR professional in Sri Lanka. Mr. Mohamed was appointed to the Board on 2012. He counts over 40 years’ experience in finance and management, both in Sri Lanka and overseas. His professional experience spans across agriculture, apparel, construction, packaging, transport and travel. He was the President of the Lions Club of Cinnamon Gardens in 2009-2010 and is currently the Counsellor of The Institute of Chartered Accountants of Sri Lanka Students Gavel Club, affiliated with Toastmasters International.He is a Member of The Institute of Chartered Accountants of Sri Lanka (ICASL) and the CA Foundation of The Institute of Chartered Accountants of Sri Lanka. Mr. Mohamed serves as a nominee of CA Sri Lanka in the interview panel to recruit accountants in Public Institutions. Mr. Mohamed is a keen social worker and has served for three years as Honorary Secretary of the National Council for Child and Youth Welfare. Mr. De Silva was appointed to the Board on 2012. He counts over 21 years experience in financial services, oil and gas, telecom infrastructure and pharma industries. He holds a Bachelor of Business Administration Degree from the University of Sri Jayewardenepura and is an Associate Member of the Chartered Institute of Management Accountants, UK. Mr. Jayawardena was appointed to the Board on 2011. He is a Fellow Member of Life Underwriter Training Council (USA) and Member of the Chartered Insurance Agency. He joined Ceylinco Insurance PLC in 1994 and serves as General Manager – Business Development. Mr. Abeynayake was appointed to the Board in January 2012. He counts 18 years experience in accounting, finance, treasury management and strategic planning. He is an Executive Director of Ceylinco Life Insurance Limited and also serves as its Deputy Chief Financial Officer. He has been a Board Member of Ceylinco Insurance PLC since 2011. Mr. Abeynayake holds an MBA from the Postgraduate Institute of Management (PIM) in Colombo. He is a Fellow of the Institute of Chartered Accountants of Sri Lanka and the Institute of Certified Management Accountants of Sri Lanka. Mr. Abeygoonewardena was appointed to the Board in 2011. He counts over 22 years experience in the financial services industry and 3 years in the manufacturing industry. He is also a Director of Unisons Capital Leasing Limited. Mr. Abeygoonewardena is a Fellow of Chartered Institute of Management Accountants, UK. and an Associate Member of Institute of Certified Management Accountants of Sri Lanka. Mr. Munasinghe is an MBA holder from the Federation University – Australia and was appointed to the Board in April 2011. He counts over 23 years of experience in the leasing industry. He was instrumental in setting up leasing operations at CDB, including credit evaluations, recoveries, operations and marketing. He is an Executive Director of Unisons Capital Leasing Limited. 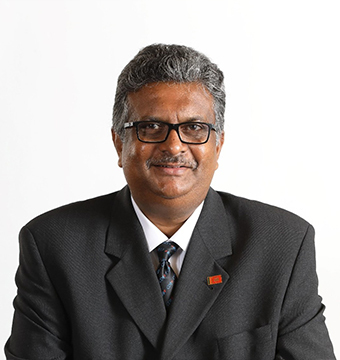 Prof. Sampath Amaratunge, presently the Vice-Chancellor of the University of Sri Jayewardenepura and was the former Dean of the Faculty of Management Studies and Commerce. He obtained his B.A. (Hons.) in Economics from the same university and his M.A. in Economics from the University of Colombo, M.Sc. in Economics of Rural Development from the Saga National University and a Ph.D. from Kogoshima National University in Japan. Prof. Amaratunge counts over 25 years of service as an academic at the University of Sri Jayewardenepura. He has published more than 50 articles in international and national refereed journals and proceedings.Prof. Amaratunge was also a recipient of the prestigious Research Excellence Award 2002, awarded by the Kyushu Society of Rural Economics, Japan, which is in addition to several other local and international awards. He is considered as an expert in the field of Economics with special reference to Rural Development.From 2012 to 2014, Prof. Amaratunge rendered his service as a member of University Grants Commission (UGC) of Sri Lanka and several other commissions and takes pride in being the youngest professor ever appointed to the UGC. He was the Chairman of the Federation of University Teachers Associations (FUTA) of Sri Lanka from 2009 to 2012. He also holds directorships in two other listed Corporates. 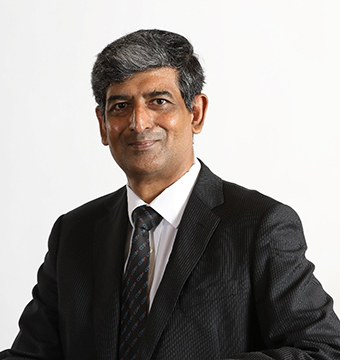 Having joined CDB in early 2001, Mahesh Nanayakkara was appointed to the CDB Board in 2004 and todate, counts over 28 years’ experience in banking and financial services. He holds a B.Sc. in Business Administration from the University of Sri Jayewardenepura and an MBA in Business Administration from the Postgraduate Institute of Management of the University of Sri Jayewardenepura. He is also a Fellow of the Chartered Institute of Management Accountants, UK and has attended Executive Development Programmes at Harvard Business School (HBS) Boston, USA. Mr. Nanayakkara also functions as the Chairman of Unisons Capital Leasing Limited, a specialised leasing subsidiary of CDB. He successfully spearheaded a dynamic team of young professionals who were instrumental in transforming CDB from a negative net worth Company to the dynamic entity it is today. He was instrumental in setting up an Employee Share Ownership Plan (ESOP) for CDB when the Net Assets of the Company stood at almost zero, prompting benefits to over 200 team members across the organization. Firmly believing in inclusive economic development, his vision is to moot a development model for Sri Lanka based on a Social Market Economy and an asset owning growing middle class. Possessing an anti-corporate raider mindset, he firmly advocates life long career commitments in his management teams, pushing their passions and optimising capability to build corporates that have a participation of equity, which he believes is a sustainable wealth creation process and a strategy to found an eco-system that transforms brain drain to brain gain. These ideologies are well exampled by eleven senior team members of CDB being among the top 20 shareholders of the Company, which may also be the only such instance of a corporate listed on the Colombo Stock Exchange having its employees among top shareholders. Mr. Nanayakkara was instrumental in establishing the Autism Trust Fund, a collaboration between CDB and Sri Lanka Association for Child Development (SLACD) which focuses on the early detection and intervention of autism in Sri Lanka, similar to initiatives prevalent in the developed world. Mr Tennakoon was appointed to the Board in April 2011. He is a Fellow of the Chartered Institute of Management Accountants, UK and a Chartered Global Management Accountant. He counts over 26 years’ experience in banking, finance and life insurance. Mr Abeygoonewardena was appointed to the Board in 2011. He is a Fellow of the Chartered Institute of Management Accountants, UK and an Associate Member of the Institute of Certified Management Accountants of Sri Lanka. Mr Abeygoonewardena counts over 23 years experience in the financial services industry and 3 years in the manufacturing industry. He is a NonExecutive Director of Unisons Capital Leasing Limited as well. 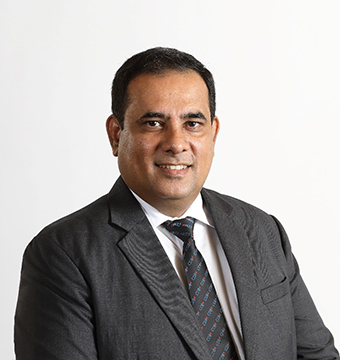 Mr De Silva was appointed to the Board on 1 January 2012 as an Independent Non-Executive Director and thereafter appointed as Executive Director Business Operations on October 2016. 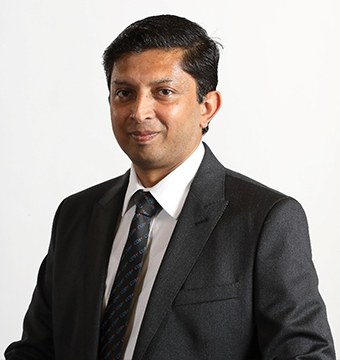 He holds a Bachelor of Business Administration Degree from the University of Sri Jayewardenepura and is an Associate Member of the Chartered Institute of Management Accountants, UK. He counts over 22 years’ experience in financial services, oil and gas, telecom infrastructure and pharmaceutical industries. Mr Munasinghe was appointed to the Board on April 2011. He holds an MBA from the Federation University of Australia. He counts over 25 years’ experience in the leasing industry. He was instrumental in setting up leasing operations at CDB including credit evaluations, recoveries, operations and marketing. He is a Non-Executive Director of Unisons Capital Leasing Limited as well. Mr Karthik is a Chartered Marketer, a Fellow of the Chartered Institute of Marketing of UK and a Practicing Marketer of SLIM. He holds a BSc in Management from the University of Sri Jayewardenepura and an MBA from the Postgraduate Institute of Management (PIM). He also holds a National Diploma in Human Resource Management (IPM) and is a Chartered Global Management Accountant (CGMA) as well. Mr Karthik joined CDB as Assistant Manager – Marketing in July 2004 and was responsible for the development of the CDB Brand. He is a member of the corporate management team and currently serves as the Director/CEO of Unisons Capital Leasing Limited (UCL), which is a subsidiary of CDB. He was the President of SLIM (Sri Lanka Institute of Marketing) for the year of 2017/18. Mr Heenkenda holds an MBA from University of Wales, UK and is a Practicing Marketer and a member of Chartered Institute of Marketing (MCIM) and Sri Lanka Institute of Marketing (MSLIM). He also holds the Chartered Certificate of Risk in Financial Services from the Chartered Institute of Securities and Investment, UK. Mr Heenkenda is an Associate Member of Chartered Institute of Securities & Investment (ACIS) and the Certified Professional Marketer (CPM) of the Asia Marketing Federation. He has followed an Executive Education Programme at Harvard Business School (Boston) as well. He was awarded the “Outstanding Manager of the Year” award at SLIM-NASCO 2010 – highest national sales recognition. He counts over 19 years’ service at CDB with experience in corporate planning, branding, digital strategy and franchise operations. Mr Imdaad holds an MSc in Business Information Systems from the Sri Lanka Institute of Information Technology (SLIIT). He is a member of the British Computer Society. He counts over 20 years in the Financial Services and Information Technology industries. Mr Imdaad has extensive experience in Digital Banking and e-Commerce Platforms, Payment Card Platforms, Management Information Systems, Software Engineering and Project Management. Ms Kodagoda is an Associate Member of the Sri Lanka Institute of Credit Management. She counts over 21 years experience in the finance business industry and is an expert in the operational aspects of finance, HR, credit administration and branch operations. Ms Kodagoda has served CDB for 21 years. Mr Dassanayake holds a BCom (Sp) from the University of Colombo and an MBA from the University of Sri Jayewardenepura. He is an Associate Member of the Chartered Institute of Management Accountants, UK and a Chartered Global Management Accountant as well. He has served CDB for over 12 years. Prior to his appointment as Deputy General Manager – Innovation and business intelligence, he was attached to finance division. Mr Kotigala holds an MBA from the University of Wales. He has gained both local and international experience prior to joining CDB. He counts over 11 years experience in well-recognised multinational companies. Mr Kotigala has served CDB for over 11 years. Mr Gunasinghe holds an MBA from the University of Southern Queensland, Australia and a Postgraduate Diploma in Business and Financial Administration from The Institute of Chartered Accountants of Sri Lanka. He is a Certified Professional Marketer of the Asia Marketing Federation and holds a Postgraduate Diploma in Marketing from Sri Lanka Institute of Marketing (SLIM). He counts over 20 years experience in the finance business industry and has served CDB for over 16 years. Mr Fernando counts 27 years experience in banking and finance business industry. He has served CDB for over 9 years. Mr Chandrajith holds a BSc (Accountancy) (Sp) from the University of Sri Jayewardenepura. He is an Associate Member of The Institute of Chartered Accountants of Sri Lanka. He counts nearly 15 years of experience in financial management and auditing and has served CDB for over 8 years. Mr Jayasinghe is a Chartered Marketer. A member of the Chartered Institute of Marketing of UK and the Vice President of Marketing Alumna of University of Sri Jayewardenepura. He holds a Masters in Business Studies from the University of Colombo and 1st Class Bachelor’s Degree in Marketing Management from University of Sri Jayewardenepura. He joined CDB as Senior Assistant General Manager – Marketing in December 2016 and has given the responsibility of developing the corporate brand and communications strategy for CDB.